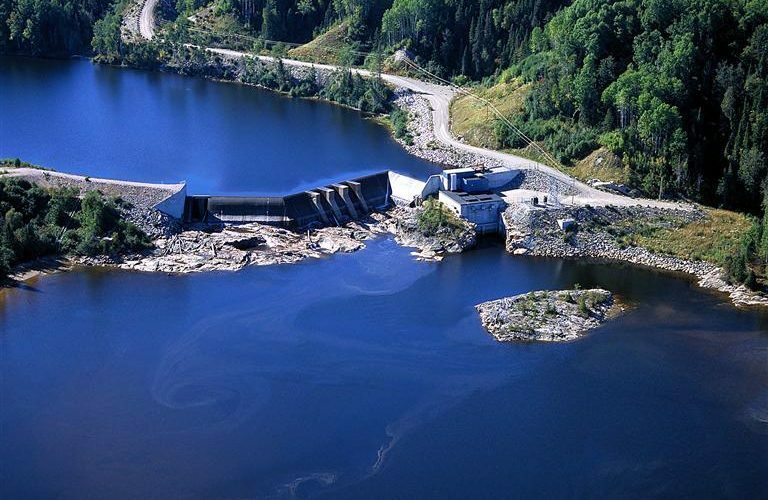 The Portneuf-1 (PN-1) facility is located 4 km upstream from the mouth of the river at Quatre Milles Falls. It has an installed capacity of 8 MW. The powerhouse was constructed on the east bank and holds two horizontal, double-regulated S-type Kaplan turbines. The average annual production of the PN-1 facility is 40,003 MWh. The Portneuf Facilities consist of three run-of-the-river hydroelectric power generating stations with a total installed capacity of 25.9 MW. They are located on the Portneuf River in Portneuf-sur-Mer within the Seigneurie des Mille-Vaches. The Portneuf River has an effective drainage area of 3,110 square kilometres and originates from Portneuf Lake. Portneuf-sur-Mer is located 300 km east of Québec City.